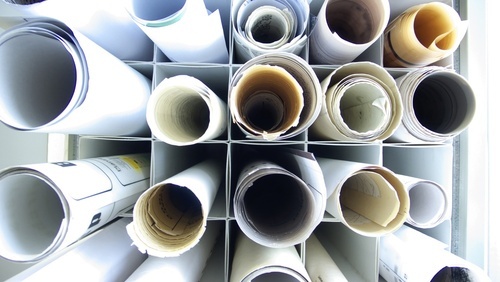 The storage and maintenance of large format drawings can be a costly exercise, both in terms of time spent locating and filing but also in the space taken up by such large documents. Our drawing scanning service, which involves the digitisation of drawings up to A0 size, can all but eradicate such problems. Retrieval and filing time is reduced to virtually zero as is the space required for storage. We typically scan items such as engineering drawings, maps and site plans which can be indexed individually by drawing number and title or inserted into a multi page document containing other related information in conjunction with our document scanning service . Drawings are usually scanned at resolutions of 300dpi and saved in either tiff or PDF format. Higher resolutions can be used where particular high detail is present. This can be in mono, greyscale or full colour. We will always try and get the very best quality scans from your paper originals and often we can improve on visual quality with the removal of crease lines and stains etc. In order to achieve wide spread recognition for their work many artists are turning to ProScan to have their artwork scanned and digitised. Not only is this an effective means of advertising your art, it also means that prints can be made from the high resolutions scans. So now is the time to embrace the digital era by letting us scan your paintings so that you can show off your work to a wider audience. 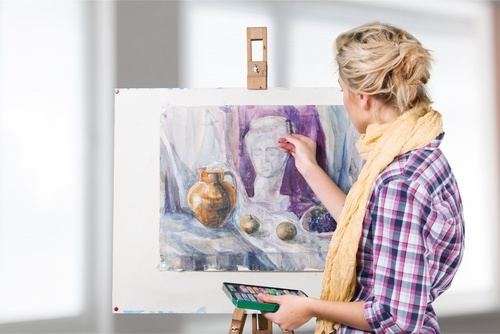 Our specialist equipment can scan paintings and artwork on most media such as thick card stock, canvas and paper up to 920mm wide and unlimited length. We can produce scans in full 24 bit colour at resolutions up to 600dpi. You can see the results of some of our scans here where inspired artist Tracy Lyons is able to sell prints using the scans we have made of her art.